I hope this is the right place to ask questions. 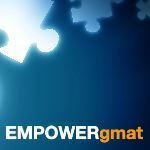 I just found this forum and thought the knowledgable people on here could advise me on my GMAT strategy as I'm a bit confused. I'm a second-year undergraduate business student and I will graduate in June 2020. I am interested in applying for a master programme in management with the latest application date in April 2020. I thought to put some time and study for the GMAT exam from now (especially during summer) and hopefully, take the exam in August/September 2019. If I score a low score, I would have around half a year to retake it. The university says that they have never accepted someone with a GMAT lower than 500, and this year it should be higher. I guess 600-650 would be a reasonable score to secure me a spot. I will have school until the end of May, so until then I might not study 100% for the GMAT, but from June to August I plan to focus 100%. I aim to take the exam only once (in August/September 2019) and would preferably not spend money on more study material. I have access to GMAT Official Guide, GMAT Official Guide Quantative, GMAT Official Guide Verbal, and Manhattan (4 guides). I would highly appreciate if you experts on here could advise on how I should put my study plan to reach this score when I take the exam in August/September 2019. What should I focus on? How much should I focus on each part? How much time would my study plan in total take? Is 600-650 an achievable score? General tips? One last question, is "GMAT™ Official Starter Kit + Practice Exams 1 & 2 (Free)" on GMAT's website what people on here refer to as the "GMAT prep"? 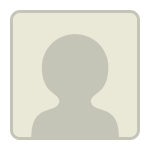 GMATPrep was the free GMAT practice test software. It was discontinued and replaced by the online tests that you've mentioned. Manhattanprep guides are pretty solid for self prep. Thank you guys, I will try to stick to the Official Guide and Manhattan books. To start, choosing to study for the GMAT now - far in advance of when you'll actually "need" your GMAT Score - is a smart choice. A Score Goal of 600+ is relatively modest, but the average Score on the Official GMAT hovers around 550 most years - so you're interested in an above-average result. As such, no combination of GMAT study resources can 'guarantee' you what you are looking for. You will have to learn and practice a great deal; thankfully, the GMAT is a consistent, predictable Exam, so you CAN train for it. Since it sounds like you're just beginning your studies, then it would be a good idea to take a FULL-LENGTH practice CAT Test; you can take 2 for free at www.mba.com (and they come with some additional practice materials). If you want to do a little studying first, so that you can familiarize yourself with the basic content and question types, then that's okay - but you shouldn't wait too long to take that initial CAT. That score will give us a good sense of your natural strengths and weaknesses and will help provide a basis for comparison as you continue to study. A FULL CAT takes about 3.5 hours to complete, so make sure that you've set aside enough time to take it in one sitting. Once you have those scores, you should report back here and we can come up with a study plan. 1) From what you describe, it's not clear how much study time you plan to put in until June. While you are still in School, how many hours do you think you can consistently study for the GMAT each week? Once we get to June, how many hours will you be planning to study per week? If you'll have any prblems with CR, consider getting a PowerScore Critical Reasoning Bible. also give a mock test to determine your present level and recognise your weak areas.